We can’t get enough of Vancouver Island. Life moves a little slower on the island, and we dig that. It’s the perfect weekend getaway for Vancouverites looking to escape the hustle of the big city. We feel an instant calm wash over us every time we arrive on the island. It’s only a 1.5 hour ferry from the mainland but it has a completely different vibe. After spending an extra long weekend in Parksville last month (see the photos here), we returned to Victoria a few weeks later and spent the weekend at the posh Oak Bay Beach Resort. 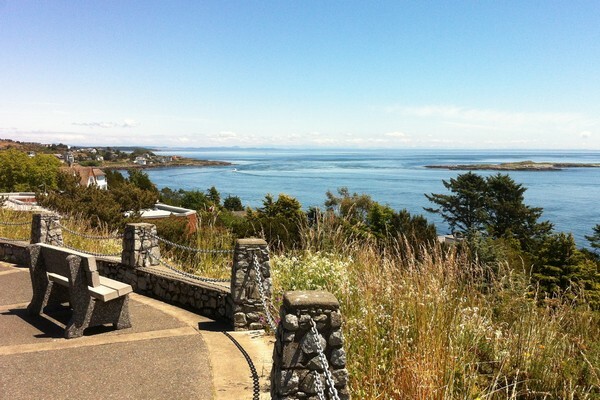 Located in Oak Bay on the eastern side of the Victoria peninsula, it’s a beautiful seaside resort with incredible views of the Straight of Juan du Fuca and the San Juan Islands. We attended a tourism event last year and Nicole won a free trip to the newly renovated luxury resort – she’s always had good luck on her side! It was also my birthday, so we decided to redeem the prize and spend the weekend alone while Baby B visited his grandparents. This was only the second time we’ve traveled without him, so it was nice to sleep in and enjoy a lazy brunch on the sundeck. It was a well needed break. Brunch without a toddler? How very civilized. 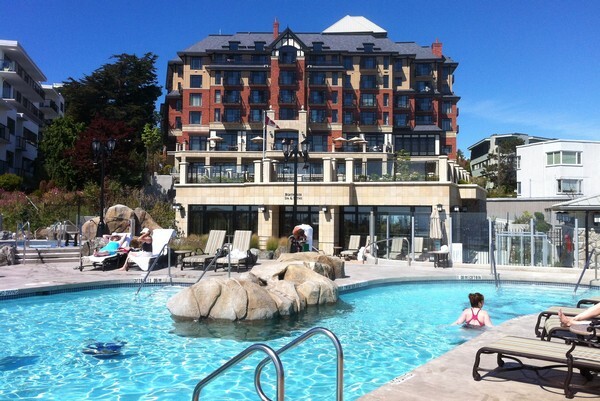 As we sat on the sundeck of the hotel and enjoyed brunch in the sunshine, we reflected on our previous trips to Victoria and came to realize that we’ve visited the city four years in a row, each trip around the same time of year. Two years ago, we stayed at the Magnolia Hotel while Nicole was pregnant with Baby B (see the flashback photos here). 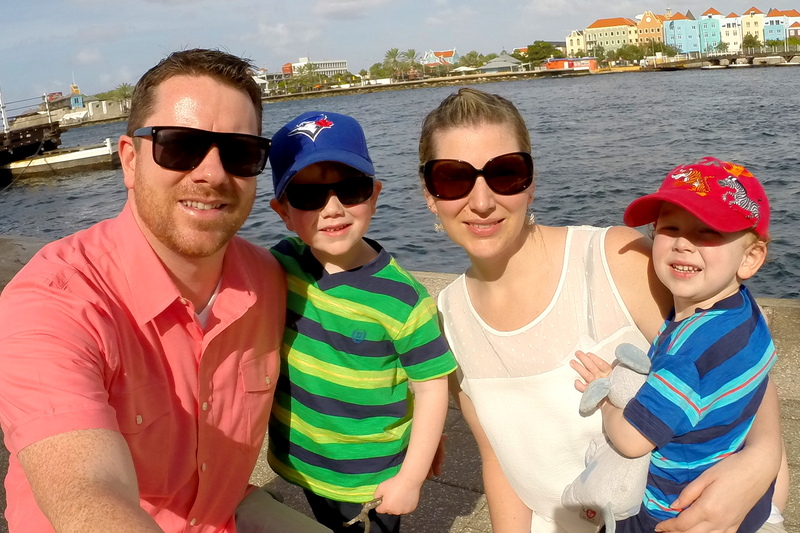 And last year we stayed at the Delta Victoria Ocean Pointe Resort while introducing an 8-month old Baby B to the city where it all started. Look how small he looks in these photos and this one. This scene has become quite familiar with our relationship. It will be fun to visit again next year with Baby B’s little brother. We might just have to continue this tradition and make it an annual routine! 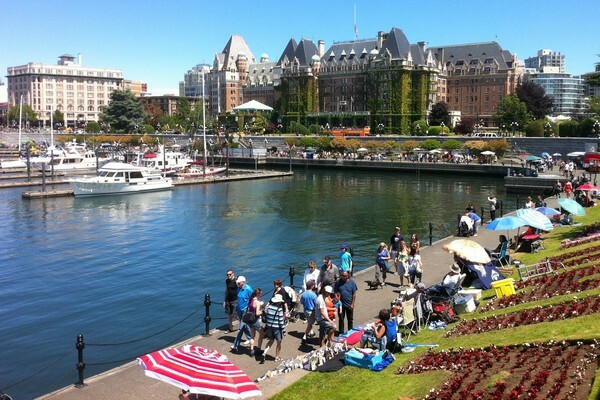 Have you visited Victoria, BC? What did you think? Great post guys!! I love Victoria. I was born in Comox and have spend lots of time on Vancouver Island, it’s definitely my favorite place and if I ever return to Canada, that’s where I’ll be living. thanks so much for sharing! i’ve only been to eastern canada but i can’t wait until i can finally visit the west coast!